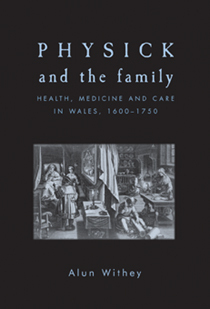 Alun Withey, the author of Manchester University Press’s Physick and the Family, explains to BBC Wales that rather than the big disease epidemics of the time, some of the worst illnesses faced in Wales were those which have become easily treatable today. “A lot of people suffered from the common cold, which could kill you back then, and stomach upsets – things that now we could treat with antibiotics,” said Dr Withey, who has compiled his research in a new book, Physick and the Family. For the full BBC article, fllow this link. Category: Anthropology, History	25 Comments.